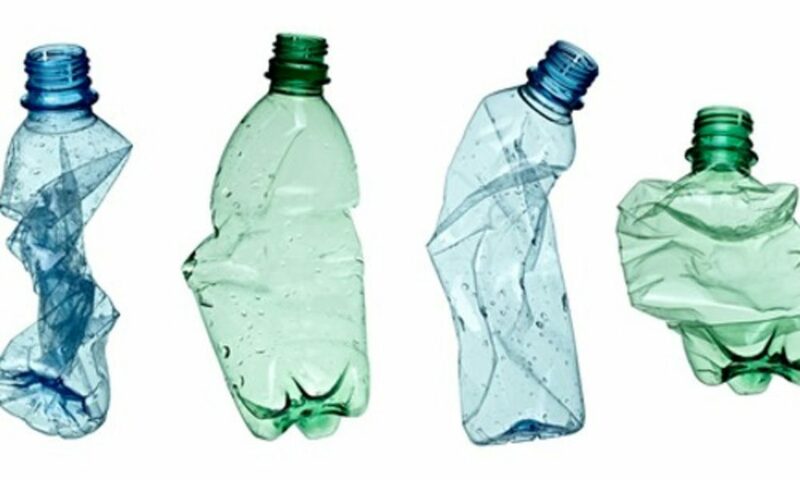 Of course, it’s no secret that plastic bottles are one of the most wasteful concepts out there. 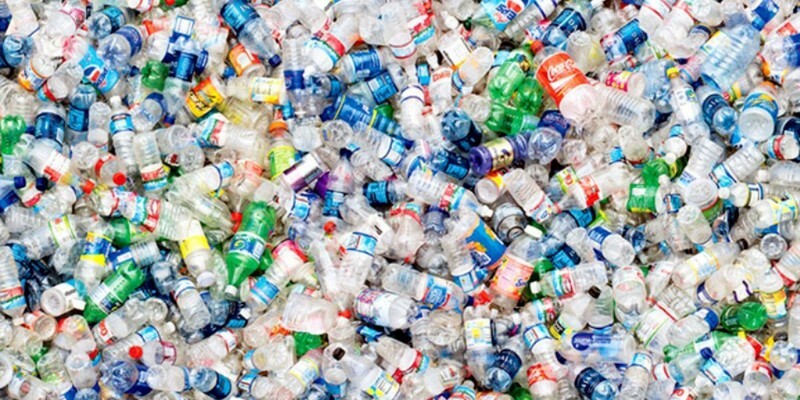 Be it a water, soda or milk bottle, only 1 in 5 of each of them get recycled. Then, the rest sadly end up in the ocean, or in landfills. 1,500 every single second, to be precise. Even the plastic bottles that are BPA-free are still filled with potentially harmful chemicals. 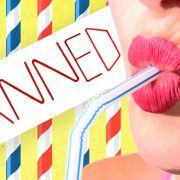 All things considered, it’s no wonder several organizations have called for a ban on the bottles. In addition to being much more environmentally friendly, drinking tap water from a reusable water bottle can be up to 2,000 times cheaper than buying plastic water bottles. Moreover, because of the popularity of these bottles, a bit of a fashion culture has recently emerged around them. By the same token, reusable bottles of all sorts of shapes, brands, and designs are now popular among eco-conscious consumers. Reminds customers of your company’s dedication to sustainability. Ensures high impressions of your brand’s message as customers will likely travel with their bottle. Contributes to bringing an end to the wasteful plastic water bottle industry. 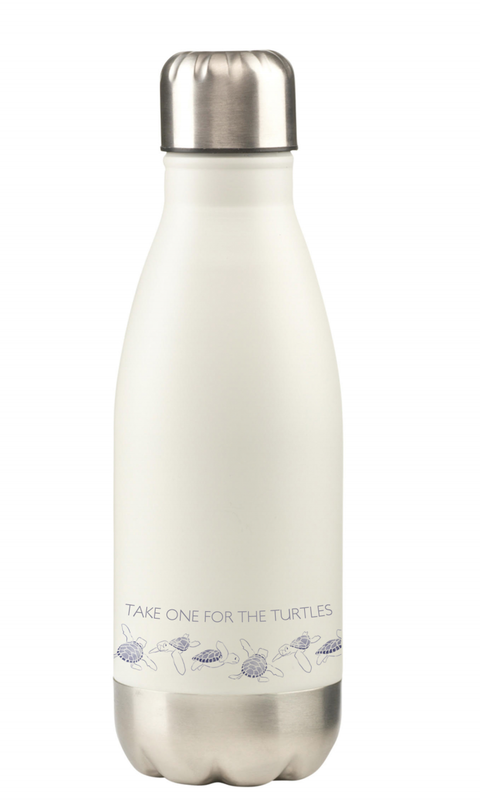 Provides opportunity for extremely creative designs thanks to the bottle’s large surface area. We provide customisable double-walled, stainless steel water bottles with leak-proof screw cap and a matte finish topcoat. A variety of colors, materials, and sizes may be available upon inquiry. Suitable for maintaining the temperature of hot and cold drinks. Not suitable for dishwasher use. Capacity 350 ml. Each piece comes in a box, and engraving or one colour print is available. Colours available in black or white. 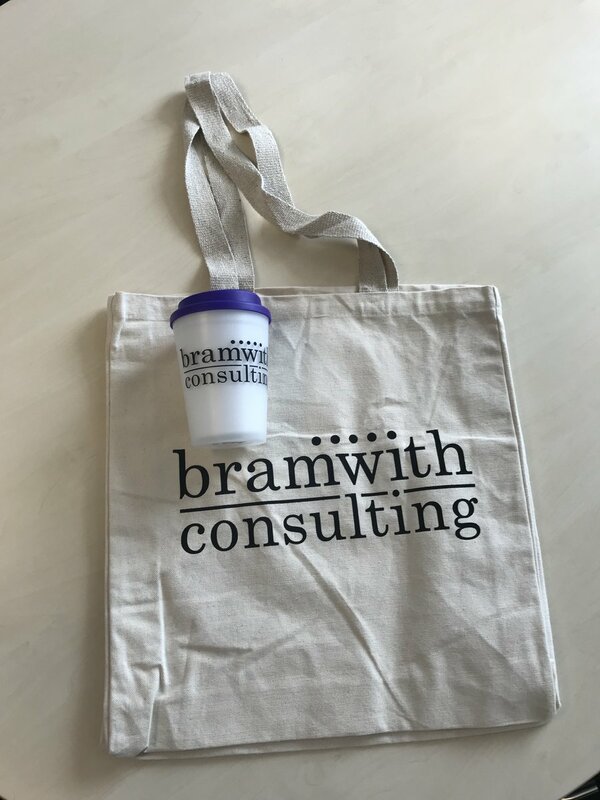 Our lovely client, Bramwith Consulting, recently decked out their employees with reusable totes and cups that we had the pleasure of creating for them. As you can see, the company is inspirational, aiming for a paper-free office by 2020. We’re pleased to have been able to help them take a step towards this goal! For details, product specifications, or to learn a bit more about us, pop over to buddyburst.com. Certainly, f you have any questions at all, please do get in touch. Call +44 (0) 207 157 9598.